Use this video tutorial to install Kodi System Tweaks for FireTV & FireStick. These tweaks are designed to make Kodi run faster and smoother on your FireStick, so set it up now! Once you see the Addon Enabled notification, return to the Kodi home screen. After the tweaks are installed, Kodi will display a notification. You’re done! Re-start Kodi to make sure the System Tweaks take effect. In addition, you should reboot your Kodi device completely (which means unplug the power cable on a FireStick). What is Kodi Tweaks for FTV? This Kodi addon is a collection of small enhancements to Kodi that should improve the end user experience for Fire TV / FireStick Kodi users. After installing Kodi Tweaks for FTV, you can expect faster response time from your Kodi FireStick installation, smoother menu operations, and fewer stream time-outs. The repository for this TV Addon is “elmerohueso’s Add-on Repository”. 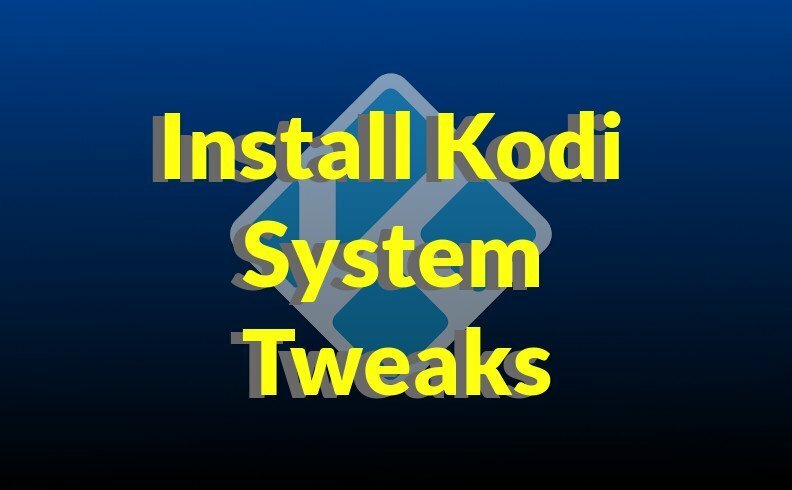 If you have issues while installing Kodi system tweaks, ask for help on the KFire YouTube Channel.